I split out the uprights and whittled the handle before we started. Then we worked for the better part of two days to weave the basket. 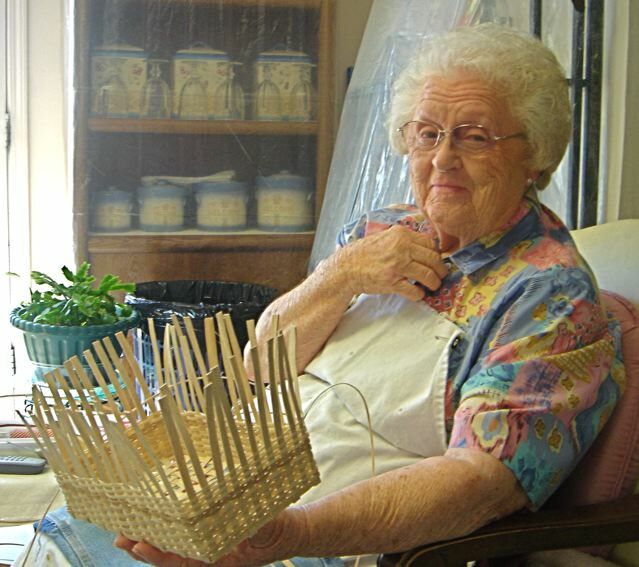 As always, I learned more of the finer points of basketry from Leona. Mostly, we just enjoyed being together to catch up on what life has woven of us since we last visited. Best of all, Leona sent me home with a tin full of homemade fudge. On the long drive back to Alabama, I savored the treats and thought about how deeply I appreciate the opportunity to collaborate with such a great artisan. MY HUSBAND AND I ARE SOUTHERN RAISED. MOST OF OUR PEOPLE ARE FROM ALABAMA! WE TRAVEL THERE YEARLY…TO HUNT AND SHOOT AND ENJOY THE FRESH AIR. WE LIVE IN FLORIDA; ON THE GULF COAST. WE JUST PLANTED A WONDERFUL GARDEN. FULL OF FRESH FLORIDA TOMATOES, OKRA, SQUASH, AND BUTTER BEANS AND STRING BEANS. IT CERTAINLY ALLOWS US TO COOK AND SPEND SOME REAL QUALITY TIME TOGETHER. 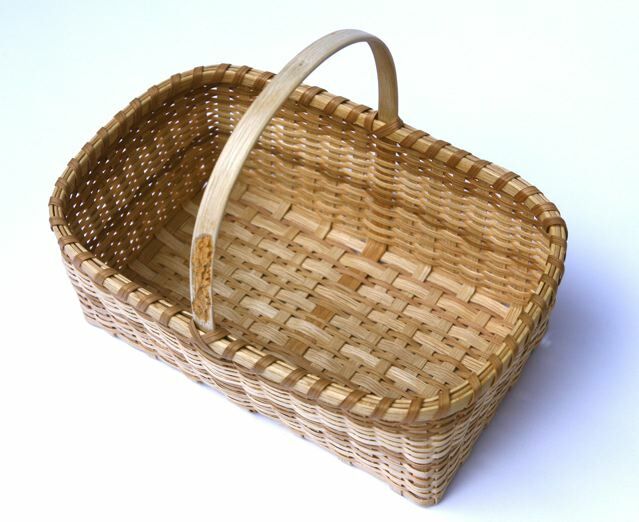 I JUST LOVE YOUR WHITE OAK MARKET BASKET AND YOUR CORN BASKET. I AM ALWAYS HUNTIN FOR A BASKET TO GATHER MY CROP! 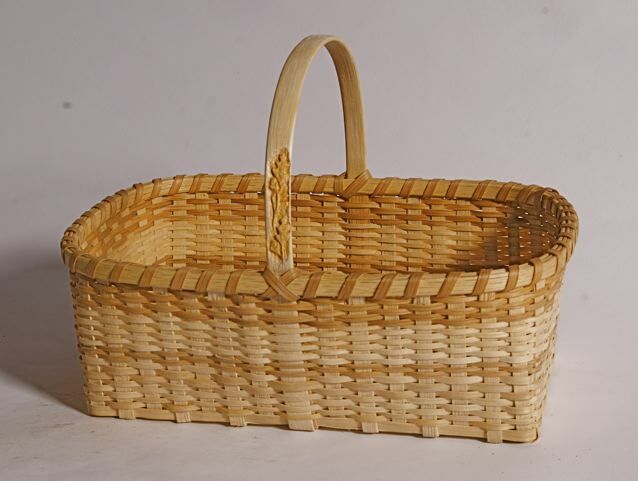 I WOULD LOVE TO PURCHASE THESE 2 BASKETS. READ THE WONDERFUL ARTICLE ABOUT YOU IN GARDEN & GUN.